We are a friendly amateur dramatic group, which was delighted to announce its 50th anniversary in 2015! Since our very first play, ‘The Happiest Days of Our Lives’ many adults and children have performed in nearly 200 productions, which have been enjoyed by our audiences over the years. 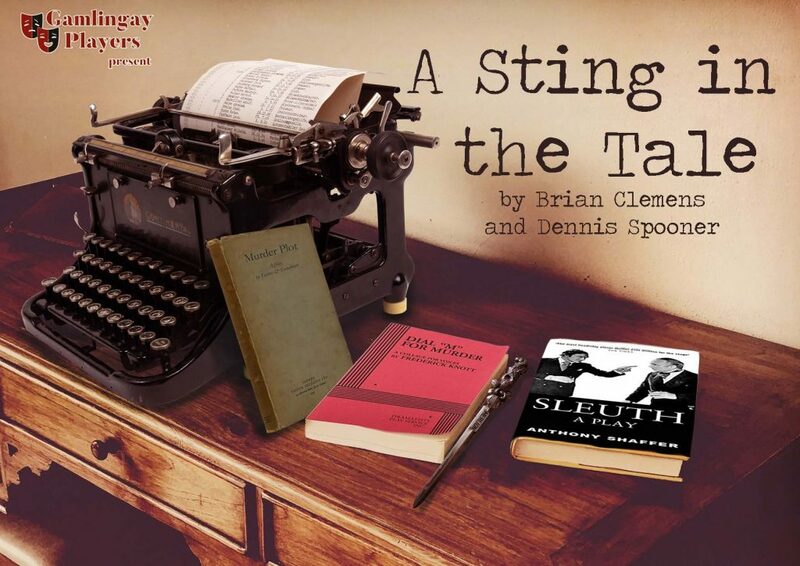 The Gamlingay Players present their Easter show written by Brian Clemens and Dennis Spooner. Two once successful crime writing playwrights are writing a block bluster to pay off their mounting debts, or are they fulfilling their full potential by plotting the perfect murder? The nagging wife is the ideal victim, especially as she is heavily insured. It all seems plausible until their plans go awry and a stagestruck detective appears on the scene. A Sting in the Tale will be performed at Gamlingay EcoHub, on Friday 29 March 2019 at 7.45pm and on Saturday 30 March at 7.45pm. Have you ever thought of becoming involved in theatre? Don’t hesitate any longer – get in touch with us and discover the many ways in which you can become involved! Do you simply want to have a new hobby and make new friends? We are currently choosing our next production to perform. If you have any plays or theatre pieces that you would like to suggest then please get in touch! Or if you’d like to be involved but don’t want to get on stage then why not have a go at directing a play, we’re always looking for new and bright ideas! You can complete the online form on our ‘contact us‘ page or email gamlingayplayers@gmail.com if you have any questions or wish to express your interest in joining. We’d love to hear from you! Gamlingay Players is a friendly amateur dramatic group on the Cambridgeshire/Bedfordshire border. Whilst most of our members live in the village of Gamlingay, we also attract many others from outside the area. Throughout the past fifty years, our common interest has remained the same – the love of theatre – an interest that we enjoy sharing with you. ‘Gamlingay Players’ was founded by a small enthusiastic group of people in 1965 when they performed their very first production ‘The Happiest Days of Our Lives’ at Gamlingay Village College. The group continued to rehearse and perform at the school until they moved to the newly built Community Centre in Stocks Lane. When the Community Centre was closed for refurbishment, we performed in our Parish church, village halls and the village schools – all showing how adaptable we can be! We now meet and perform in the newly refurbished Gamlingay Eco Hub. Since our first performance fifty years ago, many adults and children have performed in nearly 200 productions which have been enjoyed by our audiences over the years. 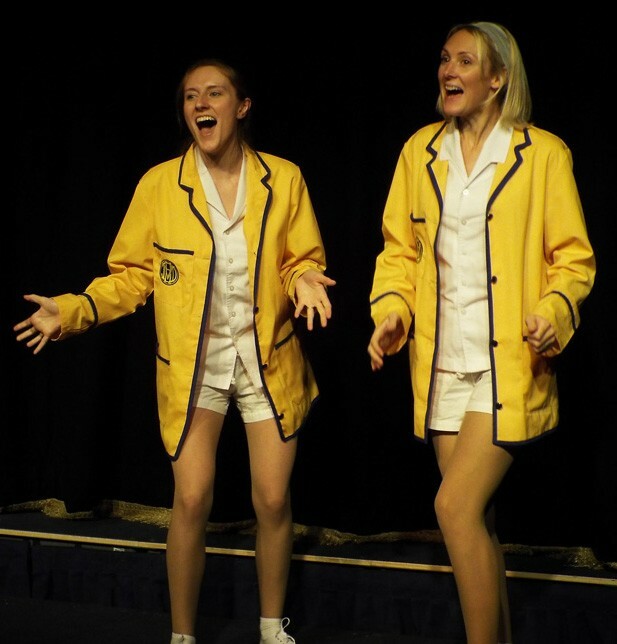 Many of our ex-members have gone on to study various aspects of Drama at college and university and have forged careers in the professional theatre. We are proud to have played a small part in their success. We have a thriving Youth group who enjoy participating in pantomimes with the adults and in their own productions, often as part of an evening of One-act plays. This shows that these younger members are a valued and fully integrated part of the society. We are nearly at the end of celebrating our 50th anniversary and are looking forward to many more years of performing. New members are always welcome to join the group and can be involved in many ways perform on stage, help backstage, build scenery, work on stage lighting or sound, make costumes, make props or make tea!